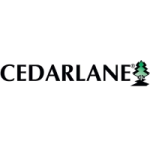 Cedarlane Low-Tox®-R Complement is derived from a highly potent mammalian source of complement, and is adsorbed with agarose and sheep erythrocytes to reduce nonspecific cytotoxicity to rat lymphocytes. This process provides an excellent source of complement for cytotoxicity techniques utilizing antisera to rat lymphocytes. Each lot of Low-Tox®-R Complement is thoroughly tested for high complement activity and low background cytotoxicity to rat lymphocytes.